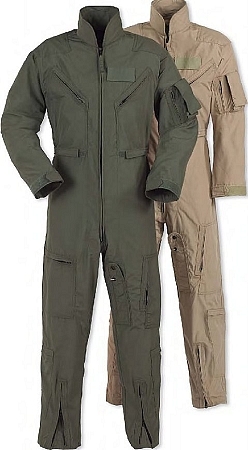 Propper's CWU 27/P 4.5 Oz Flight Suit is built to military specification FNS/PD 96-17 (MIL-C-83141A) as worn by all U.S. flight crews. 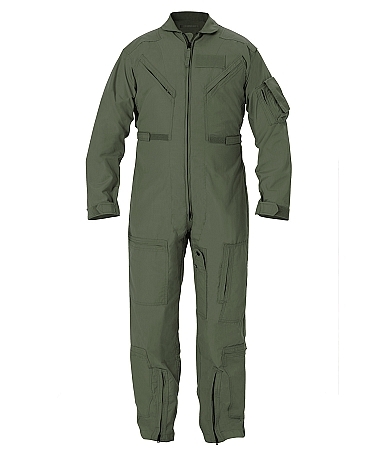 This CWU 27/P Nomex flight suit is constructed of 92% Meta Aramid, 5% Para Aramid and 3% conductive fiber fabrics, which makes this garment flame-resistant. 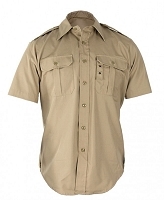 Features a two-way zipper with pull, six primary pockets, adjustable waist belt with Velcro, knife pocket on the left inseam, pencil pocket on the left sleeve and a gusseted back. For superior performance in the areas of flame resistance, thermal protection, comfort and durability, DuPont™ NOMEX® offers exceptional results. 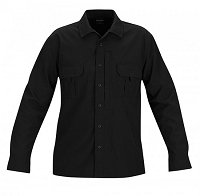 Its thermal technology helps protect against hazards associated with electric arcs and flash fires—including intense heat and flame. It is protection that’s built into the fiber itself. So, it can never be washed out or worn away.